Memories, photos and documents provide a wealth of invaluable family history information. Interviewing family members is a great way to learn about earlier generations and discover more about your family heritage. Interview older relatives first. They may be the only people who know from which country or town your immigrant ancestors came, or the spelling of an original surname, or any name changes made over the generations. Unless that knowledge is documented before they die or their memories fade, then that information may be lost forever. Storytelling is a great way to add details to your family tree, and interviewing a relative is a great way to start. To help with your family history research, here are some tips for interviewing relatives. 1. Prepare. Be clear about your objectives. What type of information are you seeking? Whom do you want to find out about, on which side of the family? Bring a camera to photograph your relatives. 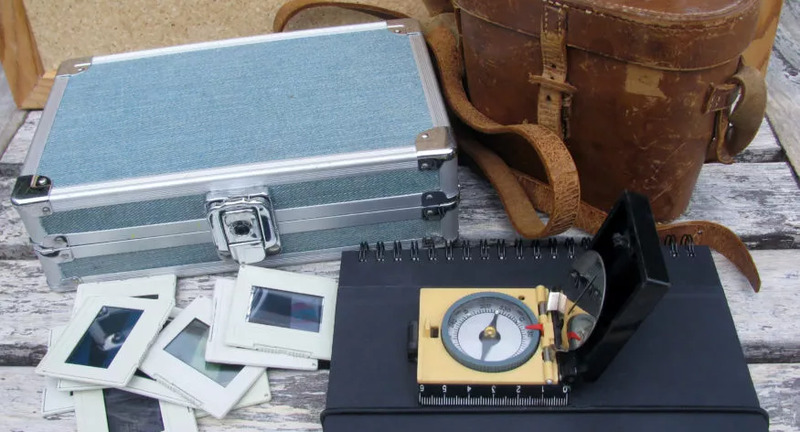 You can also photograph artifacts and older photos the relatives may show you. These all serve as great memories. 2. Create a list of questions or topics to cover. The questions will depend on how well you know the relative and their side of the family. Try to order the questions so that your relative will begin talking about their immediate family and then work outwards to more distant relatives. For example, start with questions about their children, siblings, and parents. Then try to order the questions so that they move backwards in time, to their grandparents and great-grandparents. Don’t forget to include questions about others, such as aunts, uncles, and cousins who may not be direct ancestors. 3. Decide how you will record the interview. Bring a paper and pen to take notes. Ask your relative in advance if they would mind your using a voice recorder or video camera to preserve the interview. 4. Call ahead. Try to allow plenty of time – it always takes longer than you think! Make sure to arrange a time and location that is convenient for your relative. Don’t forget to ask if they have any family photos, certificates or other items of family history they could show you when you meet. 5. Start with a family photo. If they have found photographs, begin the interview by discussing these. Or use a family photograph that you have brought to the interview. Try to ensure that it contains one or more family members that the relative will recognize and that he or she may want to talk about. Group wedding photos or family portraits are a great start. 7. Create part of the family tree together. If possible, take your family tree with you. Then, if any new individuals are mentioned during the conversation, immediately add their names and details to the tree. This way, your relative can see the tree growing, and it will be easier to work out who is related to whom. Offer to send them an updated copy of the family tree once you have added the new details. Family tree software, like Family Tree Builder, makes it easy to edit and print out your family tree. You can also edit your family tree on the go with our mobile apps, as well as take photos from the palm of your hand. 8. Lead the interview. Guide the direction of the interview to stay on topic, but don’t just stick to prepared topics and questions or you may miss some genealogical gems. For example, if your relative tells you that their father was in the army, this could be interesting to ask follow-up questions in the interview – even if it wasn’t on your original list of questions. If you sense that your relative is uncomfortable talking about a particular topic or person, move to a different topic. You can always come back to that topic at a later time or date or ask about another relative who will be able to add more details. It is important to make sure the interview is an enjoyable experience for both you and your relative. 9. Leave something behind. Bring a copy of a family photo or a printed part of a family tree to leave with your relative. Remember to leave your contact information so they can be in touch if they remember anything else or want to add more details to a specific topic. 10. Follow-up at home. Label your original notes and any audio or video tapes with the name and contact details of the relative who was interviewed, including the date, time and place. If you took audio or video recordings, prepare a word-for-word transcript for extra notes. If you took handwritten notes, type them up. Once your notes are compiled, extract key genealogical details and add these to your family tree sheets or charts. Make sure to add appropriate details about the source of each detail. Often this process will generate ideas for follow-up research. Identify any items that need to be clarified, write them down and make a follow-up telephone call to your relative. And, lastly, don’t forget a “thank you” note, as this may generate an invitation for another meeting. Then you can ask all those questions you didn’t get to in the first interview! We wish you success with your family interviews, and we hope they unlock interesting family stories and information. Do you have additional tips on how to interview family members? Or, have you discovered something new about your family as you interviewed a relative? Let us know in the comments below, on Facebook, Twitter and Google +. Yes, I was doing almost the same for last 12 years. So I could make a tree of 2400 individuals and 200 years history. My first cousin once removed sent out a packet of questions before a family reunion and made copies of the responses. He asked about siblings, parents, what hand we used, about school, jobs, military experience, favorite candy bar, about our first car, most challenging part of being a parent, our favorite recipe nicknames, holidays, celebrations, traditions, hobbies, places you had lived, when you first got tv, and about every day life. We made a newsletter – special edition – for a family reunion which gave the story of our forebears in NZ. The newsletter had photos and people contributing to the articles. It was made available as a pdf so that those not able to attend the reunion because of work or other reasons would be able to read it and those who were school students perhaps use it towards a school project. BDMS are important but stories are what creates a family tree for future generations. Our forebears as early settlers were busy working reallly hard to carve a life out in a new country that they did not always have time to write. It is amazing what records one can find in archives, museums and libraries that help build their story. Many of our forebears were busy helping to build up these places with books, photos and records knowing I think that their family generations would come looking for their story. Our great grandmothers and grandmothers had recipe books in which they wrote their favorite recipes – sometimes with short words on who gave it to them or how it came to be. another piece of advice: never interrupt! You’ll never know what you might have missed. You can always edit out later anything that isn’t interesting. Thank you for the tips . I am going to do my first step starting the coming November . Good luck. Let us know how it goes!